Nike Men's Jersey Just $9.99! Down From $40! FREE Shipping! You are here: Home / Great Deals / Nike Men’s Jersey Just $9.99! Down From $40! FREE Shipping! Nike Men’s Jersey Just $9.99! Down From $40! FREE Shipping! This deal expires on December 2! 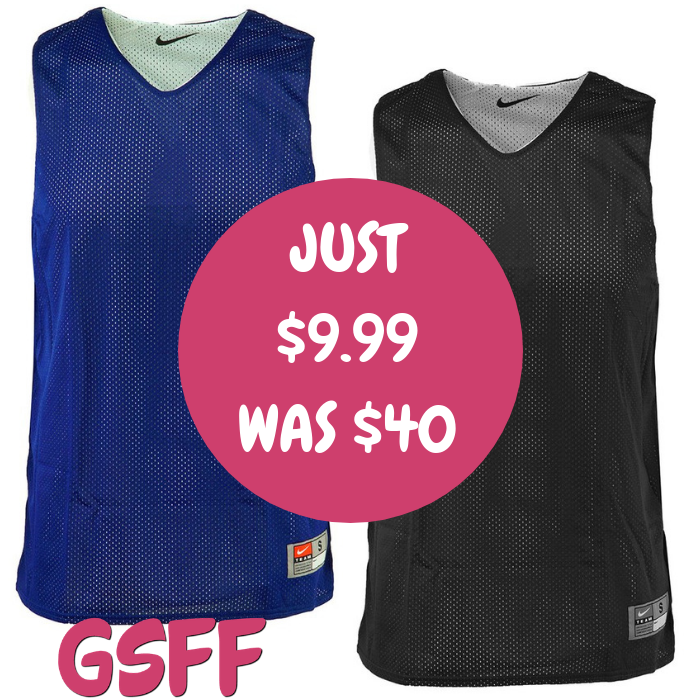 Hurry over to Proozy to score this Nike Men’s Practice Jersey for just $9.99 down from $40 PLUS FREE shipping! The Nike Reversible Basketball Practice Jersey is perfect for training and informal, spontaneous games with a reversible design that lets you switch teams easily.